Three indices of homebuilder confidence were all down marginally in June—due to spiking lumber costs and potential trade wars—although the current levels are near historic highs. In Health and Safety news: WorkSafeBC reports 97% compliance on their combustible dust initiative; Canfor’s Ken Pedersen received the 1st MaryAnne Arcand Memorial Safety Award; and Conifex’s Darren Beattie says the “culture of risk-taking is being replaced by a safety-first approach”. In Wood Product news: sawdust is being turned into valuable graphite; wood chips may improve soil quality and/or stave off a plastics-induced apocalypse; and wood buildings are making our communities safer and healthier. Finally; consent-based indigenous consultations on BC fish farm tenures exclude industry. Could forest tenures be next? Homebuilder confidence fell in June behind spiking lumber prices because of an ongoing spat between the United States and Canada. Builder sentiment in the market for new single-family homes fell 2 points, to 68, on the National Association of Home Builders (NAHB)/Wells Fargo Housing Market Index released on Monday. …All three housing indexes fell a single point in June. The index measuring current sales conditions fell to 75, the component gauging expectations in the next six months dropped to 76, and the metric charting buyer traffic edged down to 50. Regionally, looking at three-month moving averages, the Northeast rose 2 points, to 57, while the West and Midwest remained unchanged at 76 and 65, respectively. The South fell 1 point, to 71. Work is continuing on Hazelton’s new arena — with the aim of having a new indoor ice surface ready for use by the end of the year. …The project also involves some local building materials — especially BC wood, which pleases Stikine MLA Doug Donaldson — the Forests Minister who toured the project Friday. “There’s parallam glulam beams that are made in BC, an engineered wood product and it’s part of my mandate letter from the Premier to grow that sector of BC’s value-added economy, so it’s great to see that happening right here in the north,” Donaldson said. Daniels says a lot of the material was donated by local mills, including West Fraser and Babine. 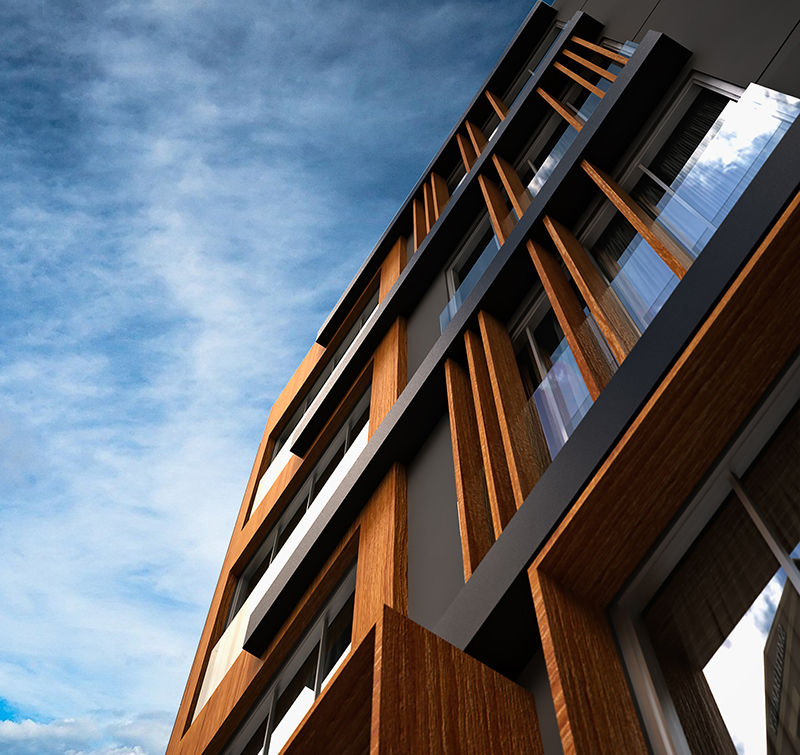 WASHINGTON, DC — Wood buildings play a critical role in the design and development of our communities, making the places we live safer, healthier, livable and more resilient. In support of this year’s AIA theme, Blueprint for Better Cities, Think Wood will attend the AIA Conference on Architecture to share research and resources on the benefits of wood and how it offers better solutions for the communities where we work, live and play. With mounting pressure to reduce the carbon footprint of the built environment, smart designers are finding ways to build more responsibly while still meeting operational and structural needs …Architects across America are increasingly incorporating wood in their designs for its promising potential to transform the way we build cities, while at the same time offering a safe and responsible alternative to traditional building materials. A southern pine in the southeastern United States grows quickly, practically like a weed. This tree will inevitably be cut down. That’s because this timber may hold one key to staving off a plastics-induced garbage apocalypse. It is raised to be harvested and chopped into wood chips to live out its fate — not as pulp to make paper, but as feedstock to make a new type of plastic. “Wood chips are damn good,” says entrepreneur John Bissell, who views the material as representing the plastic of the future. 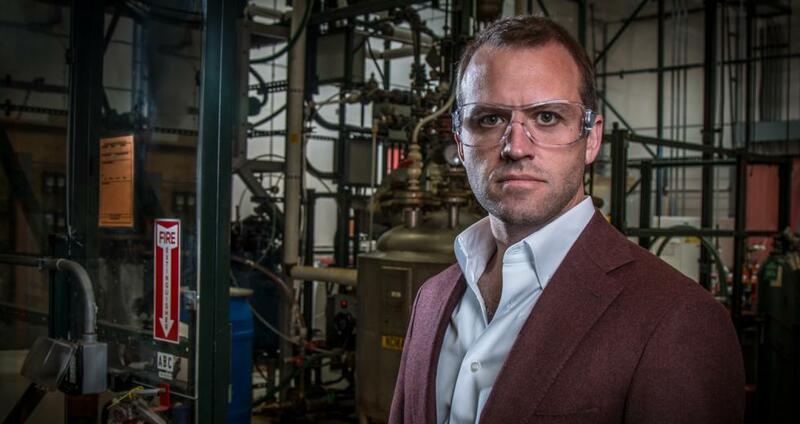 Bissell is banking his West Sacramento-based company, Origin Materials, on the concept that plastic made from biomass — as in, derived from renewable sources, rather than fossil fuels — makes economic and environmental sense. …Until recently, Origin has been fine-tuning its technology at its pilot plant in West Sacramento, but that will soon change when it launches a pioneer plant in Ontario, Canada. …Since the concept of modern engineered-wood buildings was proposed more than a decade ago, the idea has caught on in a big way. Today, there are around 50 wood and wood-hybrid buildings proposed, under construction or completed, according to the Council on Tall Buildings and Urban Habitat (CTBUH). In its report, Tall Timber: A Global Audit, CTBUH noted that the phenomenon has gained worldwide interest. Why construct wood high-rises in the 21st century? In addition to these buildings offering fire protection and seismic resistance, structural strength, easy assembly and weighing far less than concrete and steel, these structures are environmentally friendly: a ton of concrete used in high-rise construction spews a ton of carbon into the air during production; a ton of wood used in a wood mass building has the potential to remove from the air and store up to two tons of carbon for the life of the project. MORGANTOWN, W.Va. – West Virginia University could be at the forefront of solving a $57 billion dollar pollution problem and finding new ways to transform forestry waste into a cash crop for the state and region. Kaushlendra Singh, associate professor of wood science and technology in the Davis College of Agriculture, Natural Resources and Design, is leading a multidisciplinary research team to develop innovative biochar, a specialized form of charcoal that can be used to improve soil quality. It is produced by heating organic matter, such as wood chips…Prior to heating the wood, or carbonizing it, Singh will infuse it with magnesium salts… This step is a critical part of the process. That reaction will create struvite crystals, which don’t dissolve in water. So when it rains, the crystals, which contain the nutrients…stay in the soil for a longer period of time, making them available for the next generation of crops. 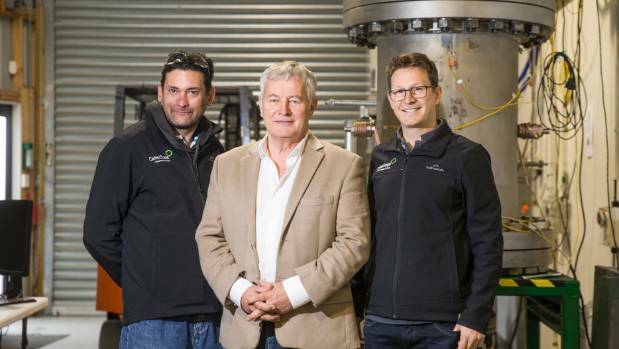 A Marlborough company may have struck gold with its own modern-day philosopher’s stone, turning waste sawdust into valuable graphite. Graphite is considered a ‘strategic mineral’ by the United States for its use in many applications, such as the significant component of lithium ion batteries. CarbonScape chief executive Oliver Foster said there was a way to go before commercial production of graphite but producing the amount they had so far had been a significant milestone. …But the company, based at Riverlands Estate outside Blenheim, had found a way turn sawdust, from the common radiata pine, into graphite through a patented two-step process. …”Graphite is just carbon stacked in a neat, 3D order. Traditionally, you can’t change the amorphous form of carbon into graphite. “[But] using microwaves and our two-step process, we’ve found a way to convert it really quickly and efficiently. Stacey Pike with West Fraser describes how forestry is an art. The B.C. government is facing the first major test of its commitment to “consent-based” consultations with Indigenous communities when a string of fish farm tenures expires on June 20. The industry is not at the table. First Nations leaders representing five communities in the Broughton Archipelago are demanding the government shut down fish farms in their territories. With just days left before the expiry, a spokesperson for the salmon farming industry said the companies are still asking to be part of the consultations. …Forests, Lands and Natural Resource Operations Minister Doug Donaldson, who is responsible for fish farm tenures, told the legislature in February that protecting wild salmon stocks from potential threats of fish farms is a priority. …But a decision on tenures before the leases expire in the Broughton Archipelago now looks unlikely. The provincial government has committed $328,000 for forestry education at North Island College as a way to produce the workers of the future. Minister of Advanced Education, Skills and Training Melanie Mark was at the Campbell River NIC campus Monday afternoon to announce funding for the project. It was part of a $1-million investment in forest programs the provincial government is making at a number of institutions. “It’s an exciting day for us at NIC and the post-secondary education system and for the B.C. forest sector,” said NIC president John Bowman. Funding for North Island College will be used to enhance the existing one-year coastal forest resources certificate and develop a two-year applied forest resource diploma. …Bowman also introduced Tracey O’Malley and Jason Hutchinson of Strategic Natural Resource Consultants, which has been working with NIC on forestry training for the last 10 years. People wanting a career in the forestry sector will soon be able to access more education and training options, following a $1-million investment in new and upgraded programs at six public post-secondary institutions. Funding includes $328,000 to enhance the existing coastal forest resource certificate, and develop an applied forest resource diploma, at North Island College. The college will expand its workplace-based certificate program with an in-field training and mentorship model, while developing a new diploma program to include industry leadership, mentorship and on-the-job training. North Island College is consulting with local employers to develop the curriculum, and ensure the certificate and two-year diploma position students and industry for long-term success. As planning continues, the program’s tuition, start date and curriculum details will be confirmed. VICTORIA – The Forest Practices Board will examine forest licence A89984, held by Adams Lake, in the Thompson Rivers Natural Resource District, during the week of June 25, 2018. Auditors will examine whether harvesting, roads, silviculture, fire protection and associated planning, carried out between June 1, 2016, and June 29, 2018, met the requirements of the Forest and Range Practices Act and the Wildfire Act. The area of the audit is located on the north side of Adams Lake near Agate Bay, approximately 60 kilometres northeast of Kamloops. …Jakub Bednarek headed into the forest near his home in Leavenworth, Washington, and collected samples of maple leaves to send to a lab for DNA analysis. Bednarek works as a biologist and is one of 150 volunteers in a project this summer that stretches along the Pacific Coast. 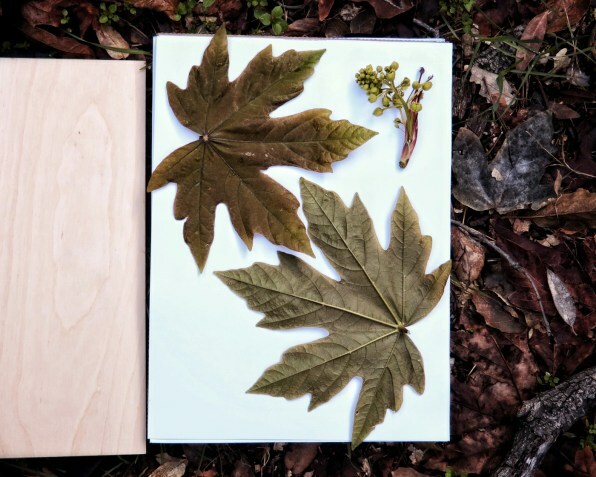 The project’s aim: to create a genetic map of a particular species of maple, which can then be used to help identify illegally harvested wood. DNA testing has been used on black market timber in the past–in a case in 2015, for example, when a sawmill owner was convicted of trading illegal wood, scientists used DNA analysis to identify the exact stumps of the trees that had been cut down. But it can also be used at a broader level; by mapping how the genetics of a particular species of tree changes by region, it’s possible to identify where particular timber came from. Recently in an interview about the 2018 Farm Bill, U.S. Sen. Steve Daines advocated more “active” management of our national forests. “Active” is code for more logging. Daines suggested that more logging would result in “healthy forests,” which, he asserted, would store more carbon. Unfortunately, Daines is misguided in two areas. First, a “healthy” forest is one with significant mortality from wildfire, bark beetles, drought and other natural processes, and unmanaged forests store more carbon than a forest that is “actively managed.” Indeed, one can easily argue that the greatest value of our public forests is not wood production or any other resource, but as carbon reserves. …All this suggests that if Sen. Daines believes we should be using our forests for carbon storage, then eliminating all logging/thinning should be the highest priority on public forests. NEW YORK — The Wildlife Conservation Society (WCS) and Yale University have created a plan to preserve one of the last intact forest strongholds for the jaguar and other iconic species in Central America: the Moskitia Forest Corridor. Released today, the report–titled “Stopping the Tide: A Strategy for Maintaining Forest Connectivity within the Mesoamerican Biological Corridor”–lays out recommendations on how to protect the ecologically vital forest landscape that straddles both Honduras and Nicaragua. One of the primary findings of the report is that conservation efforts should be focused on four “pinch points” where forest connectivity is threatened. …Researchers writing in the journal Nature Plants believe the success of the [Oak] species might be explained by a sudden expansion of disease-resistance genes, allowing individual trees to survive for centuries despite exposure to various threats. The team of researchers from Europe and the US sequenced the genome of Quercus robur, the common English or pedunculate oak, which is widely distributed around the world. They then compared the result with existing whole-genome sequences for other plants, including trees and shrubs. 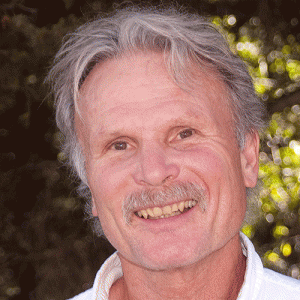 They found that the oak experienced a recent burst of tandem gene duplication, which appears to have contributed to a large proportion of its total gene family expansion. These expanded families are largely associated with disease-resistance genes and exhibit what geneticists call “positive selection signatures” – meaning that they are highly likely to be dominant and thus spread rapidly through a population. New legislation that brings forestry rights into the overseas investment regime will help promote high-quality foreign investment that puts more emphasis on genuine benefits for New Zealanders, Forestry Minister Shane Jones says. “The Bill recognises the importance of forestry to New Zealanders and I’m confident it’s struck the right balance that will boost forestry investment while ensuring the regime cannot be bypassed,” Shane Jones said. “High-quality overseas investment in forestry will be an important part of achieving the Government’s One Billion Trees planting programme and will also promote economic development opportunities in our regions. “This Government wants to see a strong and flourishing forestry sector that will create and protect jobs across the country and contribute to our climate change targets. Carrying a pile of timber about 4 meters long, a transport vehicle proceeded slowly but smoothly down a roughly 3-meter-wide path in the woods of Tanba, Hyogo Prefecture. There was no one at the wheel. The unmanned cart — specially designed to transport lumber from thinned forests — carries wood from a forest-clearing site to a collection point a kilometer away, where it automatically unloads its cargo. It is currently being developed by the Forestry and Forest Products Research Institute and other entities. …Due to the aging of the industry workforce, efforts are under way to develop various advanced technologies to improve efficiency and reduce the need for labor. Laser scanners are one example of such technology. MACKENZIE, B.C. – The BC Wildfire Service is cautioning residents in Northeast B.C. about the increasing danger of wildfires with the current heatwave after a wildfire erupted near Mackenzie over the weekend. Prince George Fire Centre Fire Information Officer Amanda Reynolds said that the Lion’s Lake Fire was reported to officials on Saturday and has since grown to around 47 hectares in size. She said that air tankers were deployed to drop water onto the fire on both Saturday and Sunday and that currently there are 23 firefighters on scene battling the flames with 16 more on the way. The BC Wildfire Service has taken over command of the fight against the fire from the Mackenzie Fire Department, which is continuing to provide assistance against the blaze. The fire is said to have slowed its growth significantly after it experienced rapid growth over the weekend. It was a busy weekend for firefighters with the Aviation, Emergency Services and Forest Fires branch of the Ministry of Natural Resources and Forestry, and it’s not expected to slow down any time soon. Firefighters responded to 6 new forest fires in the region over the weekend, and with hot and dry conditions in this week’s forecast, more fires are expected to spark soon. There are currently 18 forest fires burning in the region. Red Lake Fire 38, discovered June 16 to the south east of North Spirit Lake, has grown to 280 hectares in size as it moves away from the community. An air attack package of a bird dog aircraft and two CL-415 waterbombers have been assigned to the fire. The lightning-caused fire is currently not under control. 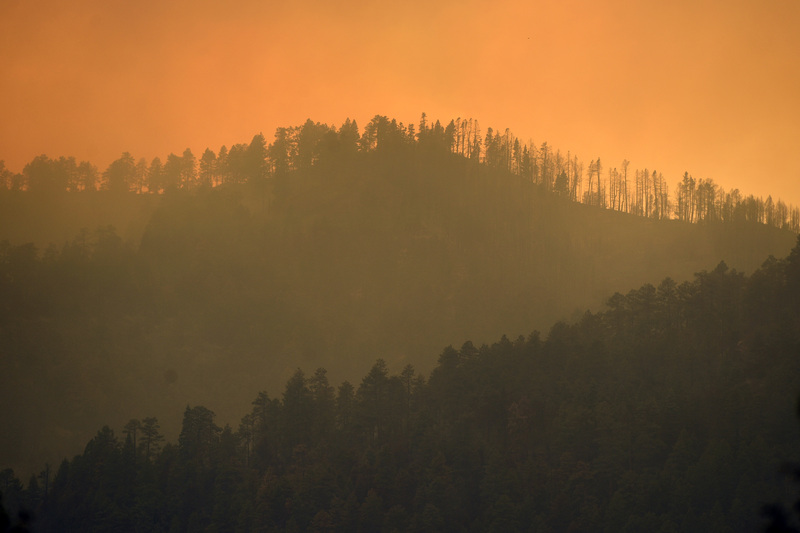 Steady weekend rains in southwest Colorado kept the 416 fire from growing much, but the storm wasn’t enough to knock it out and officials worry a return spell of hot, dry weather this week will breathe new life in the 34,161-acre wildfire. “There hasn’t been a lot of growth since the rains came,” said Jamie Knight, spokeswoman for the Rocky Mountain Incident Management Team. “It was welcome but it wasn’t enough to be a done-and-over event.” Weather forecasters call for several days of hot and dry weather before another storm could drop rain on Thursday, Knight said Monday morning. Residents of surrounding communities including Durango will see a lot more smoke coming from the fire following the rain storm, she said. There is still a tremendous amount of heat that’s trapped not only in standing and topped logs, but also beneath the surface of the ground where the heat follows tree roots, she said. We were warned. On June 23, 1988, a sultry day in Washington, James Hansen told Congress and the world that global warming wasn’t approaching — it had already arrived. The testimony of the top NASA scientist, said Rice University historian Douglas Brinkley, was “the opening salvo of the age of climate change.” Thirty years later, it’s clear that Hansen and other doomsayers were right. And the change has been sweeping. Earth is noticeably hotter, the weather stormier and more extreme. …Far more wildfires rage. Over 30 years — the time period climate scientists often use in their studies in order to minimize natural weather variations — the world’s annual temperature has warmed nearly 1 degree F (0.54 degrees C), according to the National Oceanic and Atmospheric Administration. Ken Pedersen, supply manager for Canfor Forest Management Group, received the 1st MaryAnne Arcand Memorial Safety Award at the Interior Safety Conference (ISC) held last month in Kamloops, part of the 60th Interior Logging Association’s annual convention and trade show. Ken was presented with the award by Matt Franks and Steve Mueller, on behalf of the ISC. …Matt and Steve said it was fitting that Ken be the first recipient of the award. Ken is a founding member of the Trucking and Harvesting Advisory Group (TAG) which formed in 2013 and has always been a strong supporter of improving safety within the industry, demonstrated by his leadership with TAG as well as with his employer, Canfor. The Wood Products Safety Summit 2018 offered more than 50 delegates a day of diverse presentations on safety – with a clear focus on the value of both increased collaboration and process safety. …There is one thing above all else that consistently permeated each of the presentations during the safety day and that was simply that process safety management, strong safety culture and high performance in any industry require collaboration, participative management of all stakeholders and a walk the talk attitude where results prove that many heads are better than one. …Darrin said that fast forward to today and we have seen a noticeable change, a new world where employers are actively engaged in health and safety; a robust health and safety association, the BC Forest Safety Council, providing the infrastructure for health and safety and resources. In 2017, WorkSafeBC continued its focus on combustible dust and undertook formal inspection initiatives to verify compliance with combustible dust requirements and to ensure the presence of effective combustible dust management programs in all operating British Columbia sawmills. The Results: In total, 156 combustible dust inspections were conducted at 115 sawmill locations, resulting in six combustible-dust orders at four locations. This translated into a compliance rate of 97 per cent. …All operating sawmills and pellet mills in B.C. have implemented combustible-dust control programs. WorkSafeBC recognizes that a number of owners and employers have made significant capital investments and that many in industry have adopted engineering controls to improve dust conveyance, collection and ventilation systems.